wise guy, funny guy, nerdy guy, friendly guy ...and he can sing, too! 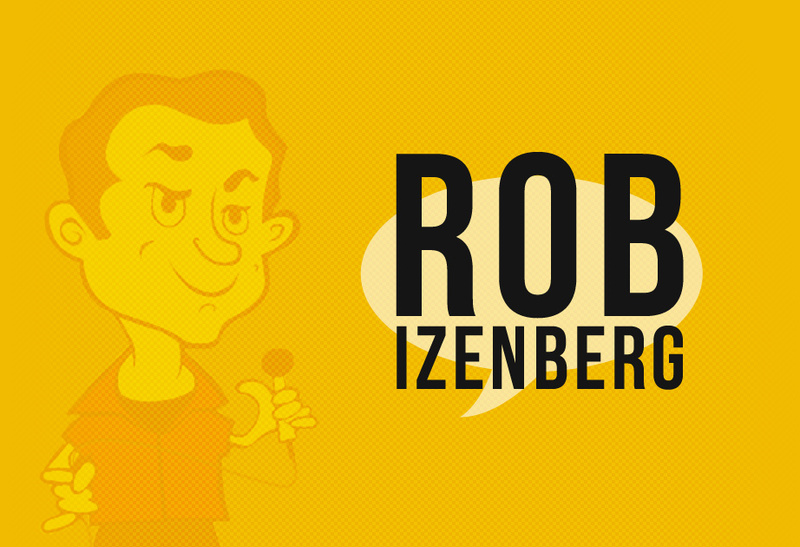 Rob Izenberg is a successful voice over actor, comedy writer, producer, musician, and composer living in Los Angeles. For voice acting, he is represented by VOX Inc. @ 323.655.8699. Oh, and Sting once told Rob that he had "warm hands." True story. "Rob is one of the coolest dudes i've ever had the chance to work with. If you need a voice that will pop out and grab you or put a smile on your face, Rob's your guy. If you work with him once... you'll never want to get rid of him!" "Rob is dependable, funny, hardworking, funny, plays well with others and is very funny!" Cool on-line PSA featuring my voice as the stressed compact car!